A haunted castle, a handsome young man dead for four hundred years, one heck of a scary portrait of a witch, and a treasure hunt -- not to mention a princess for a roommate! -- all await 15 year old American girl Caitlyn Monahan when she earns a scholarship to a French boarding school. There are secrets behind the stone walls of Chateau de la Fortune, buried for...moreA haunted castle, a handsome young man dead for four hundred years, one heck of a scary portrait of a witch, and a treasure hunt -- not to mention a princess for a roommate! -- all await 15 year old American girl Caitlyn Monahan when she earns a scholarship to a French boarding school. There are secrets behind the stone walls of Chateau de la Fortune, buried for centuries along with the mystery of who killed Raphael, the charming ghost who visits Caitlyn at night. But as Caitlyn unearths the history of the castle, nothing scares her as badly as the secret she learns about herself, and the reason she was chosen to come to the Fortune School. "Some people say that love itself is the most powerful magic"
I waited a while before writing this review because I was hoping the words would come to me. I could easily say that this book was amazing, or incredible but those seem so simple compared to what the book really was. This book was...Stunning. It soared way beyond the expectations I had for it. There are so many characteristics about this book that I loved. 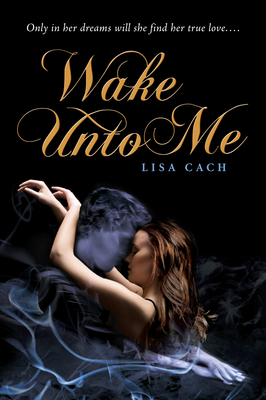 The Storyline: I obviously loved the book because of it's unique storyline, but Lisa Cach created something so much more than a simple story. She created such a beautiful world that it was nearly impossible to stop reading. You are whisped away back and forth between 16th century and 21st century France. The more Caitlyn learns and discovers of the castle and her surroundings, the more the book comes alive. Characters: It has been a long time since I came across such incredibly vivid characters in a book. Each character had something to offer to the story and the book itself. It would have been incomplete had just one character been missing. It is hard to believe that Caitlyn, Raphael and the Chateau de la Fortune are fictional. They were so vibrant and alive. I immediately fell in love with Caitlyn and Raphael, it is hard to put into words what kind of characters they are. They are truly special, and will stay with you long after you've finished reading the book. It's magical. The author created an enchanting, ghostly world, while taking you on a intense hunt for treasure. My mind was running wild trying to figure out the clues and mystery myself. Each time I would think I had figured it out, a twist came out of nowhere and took me in a completely different direction. The most magical aspect of this book though is the love story. It is one of the most romantic love story's I have come across in a long time. Falling in love with a man in your dreams? Sounds hard to pull off but the author did it flawlessly. Every flutter and heart ache Caitlyn felt, you could feel too. Like I said before, Raphael was unlike any character I have read, his words leaped off the pages. Caitlyn and Raphael's love was beautiful and tragic all at once. I could go on and on about this book but I won't. There is so much wonderful in Wake Unto Me that it should be discovered by you while reading it. This is a must, must read! I will definitely be re-reading it again in the future. Chateau de la Fortune is a place I want to revisit. What I disliked: That it ended. I can only hope that there will be another book, so I can read more about Caitlyn, Raphael and the Sisterhood of Fortuna. I'm glad that I read your review, because this doesn't sound like a book that I would normally pick up (or not one that I would rush out and read right away) - but now... I think that I'm going to have to read it as soon as it comes out. Great review! This book sounds amazing and I'm definitely adding it to my want list. Author Spotlight: C.C Hunter and a giveaway! Between Shades of Gray Release!